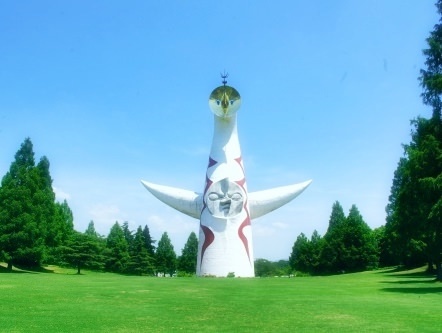 The Tower of the Sun was originally created as the symbol of Expo '70 by Taro Okamoto, a famous Japanese artist. 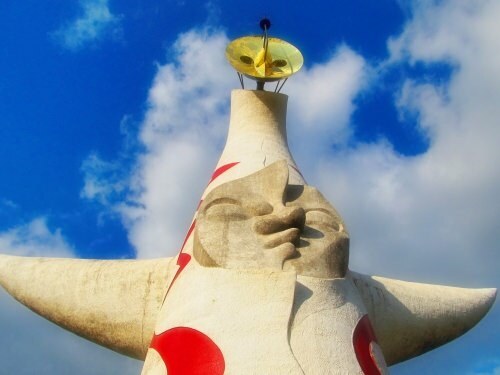 Since then, it has been standing as a monument in the Expo Commemoration Park in Osaka (refer to #037). The exhibit inside the tower has not been open to the public after Expo '70 due to its weakness of earthquake resistance. However, it is planned to reopen once the ongoing reinforcement work is completed.